One of the main locations featured in The Gatekeeper's Son is the great Izumo-Taisha shrine. 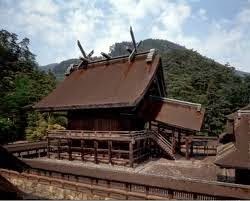 It's considered one of the most important shrines in Japan and has a history going back a thousand years. The general area around the shrine is full of artifacts and archeological sites dating from the bronze age and reinforce how old the area truly is.